I'm sure my kids would be excited to see this in their lunch box! 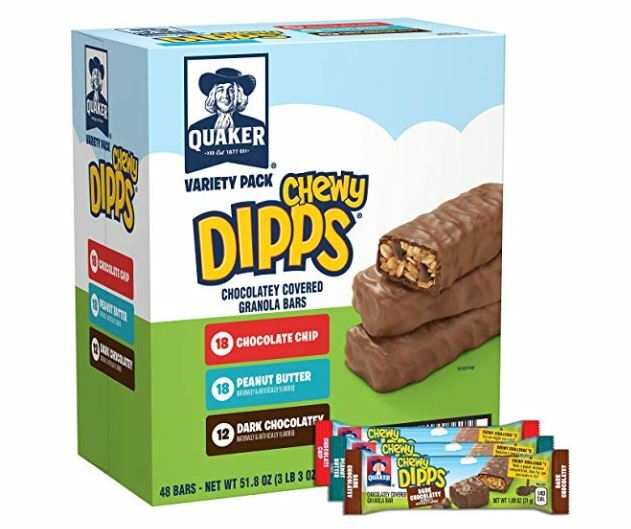 Get this Quaker Chewy Dipps Chocolate Covered Granola Bars Variety Pack, 48 Count on sale for $7.87 when you clip the 20% off coupon and subscribe and save! That's just $0.16 per bar shipped! If you have 5 or more subscriptions arriving in a month, you'll save 15% off this order instead of the regular 5% making these deals even better! *Remember, when you sign up for Subscribe and Save, you are under NO obligation whatsoever and can cancel at anytime. To cancel or modify your Subscribe and Save items, just click on "my account" and then "subscriptions" and with the click of a button you can cancel and/or modify anything you want. *Check out all of the Subscribe and Save Deals HERE.